February has been shaping up to be quite the eventful month! We have the 2018 Winter Olympics (figure skating...anyone? ), it's Black History Month, and a little something new that I've also learned is that the 11th was officially honored as the International Day of Women and Girls in Science. Our latest shipment from Parragon Books has hit the mark with this month's theme, which is to "Dream Big." We received a nice collection of children's books and even a special selection for mom in this month's surprise package! Go to bed each sleepy child, And dream what dreams you might. Dreaming's good most anytime, But especially at night. Imagine all the amazing things that you can be, A mountain climber or captain on the sea. Some wonderful things are in this book, So turn the pages and have a look. 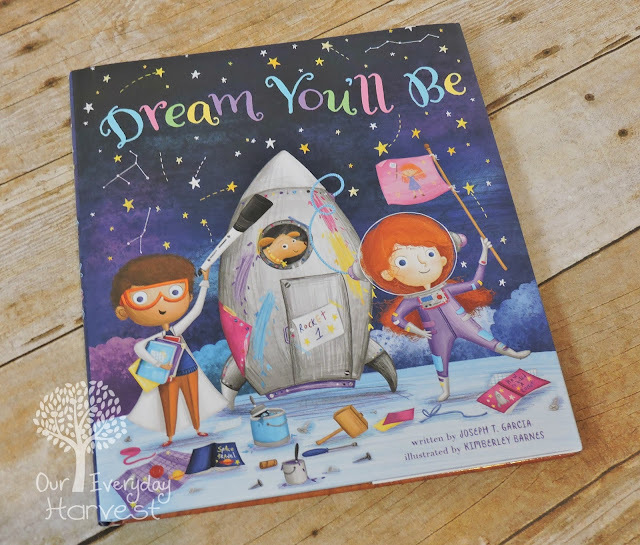 Dream You'll Be is written by Joseph T. Garcia and whimsically illustrated by Kimberley Barnes. This is the perfect book for February's theme of dreaming big. 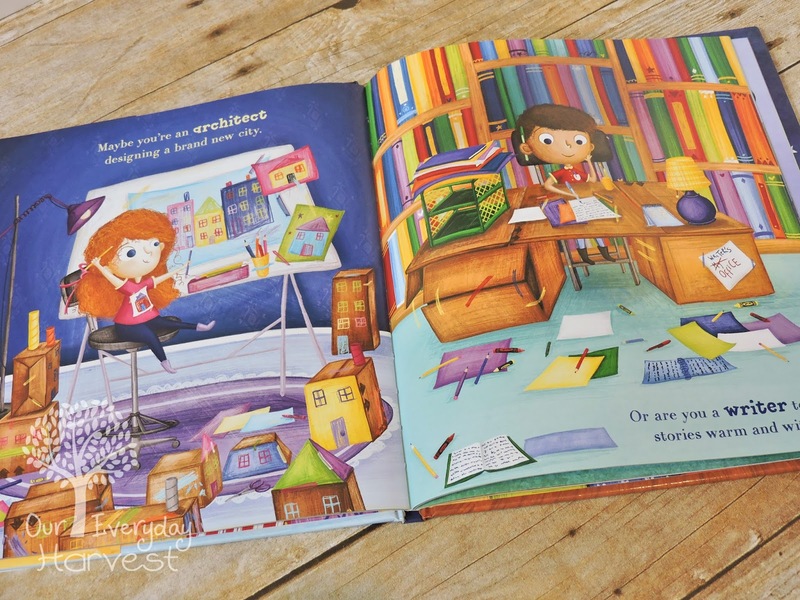 This adorable hardcover picture book offers encouragement to both young boys and young girls out there by letting them know that they can strive to become anything they set their heart on, whether they want to be an architect, a doctor, a beekeeper, or even a pilot. The book is full of bright, colorful illustrations that are both fun and child-friendly. There is so much detail to look at throughout the pages. We like to read each section of the story and then stop to really take in the artwork on the pages. It really is a beautiful book. We are officially putting this in our special collection of bedtime stories, since it offers a theme of dreaming at night and waking up in the morning to start a brand new day of excitement. It also offers a positive, encouraging message that's perfect for children to drift off to sleep to. 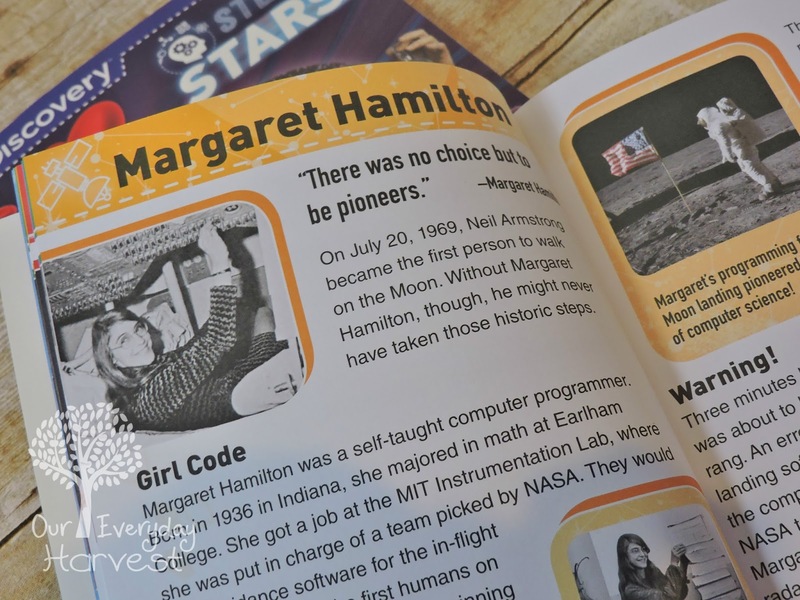 STEM Stars Women Who Rocked Space is a wonderfully inspiring book for any budding scientist who needs awesome girl role models. From the first woman astronomer, to the ladies known as "computers," to a record-holding spacewalker . . . Discover the inspiring stories of 19 of the most awesome female explorers of our solar system and beyond! 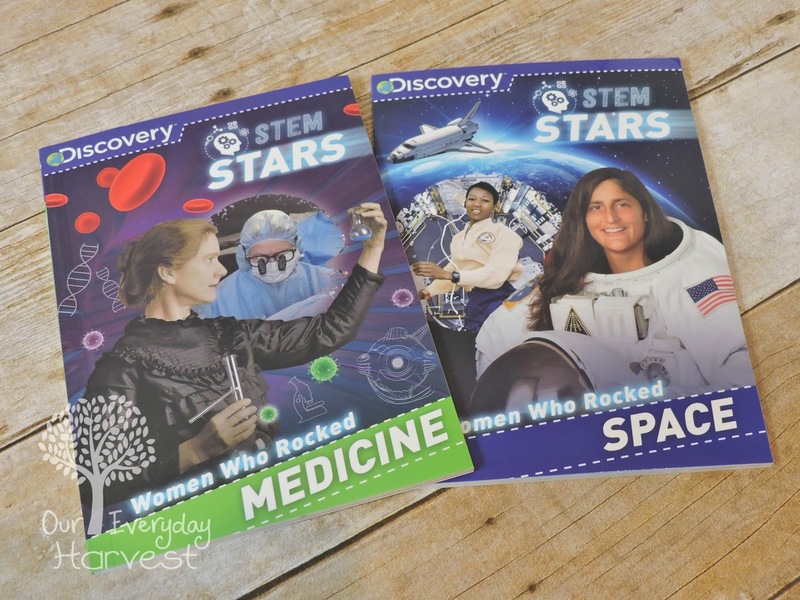 Discovery has a new STEM Stars series and we received the first two books in the collection just in time to celebrate International Day of Women and Girls in Science. 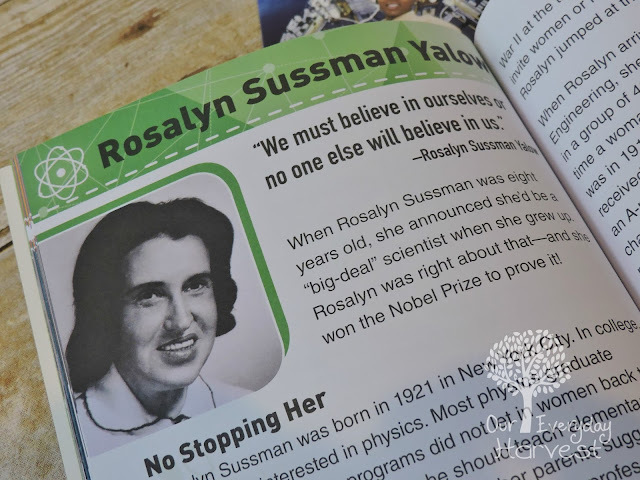 Both Women Who Rocked Medicine and Women Who Rocked Space share the biographies and success stories of important women who help pave the path for future professionals in the field. Children can read brief introductions about their lives and accomplishments during their career. In Women Who Rocked Space, we've been reading about Mae Jemison, the first African-American woman in space, as well as Sally Ride, the first American woman to go into space at only age 32, she was also the youngest. We also enjoyed reading all about the medical endeavors of those professionals mentioned in Women Who Rocked Medicine. Some of these include the infamous Florence Nightingale and Virginia Apgar, an anesthesiologist who ended up creating the Apgar score system that is used in hospitals today. The Apgar score helps gauge the overall health of newborn babies and whether or not they need extra special care. Both books in the STEM Stars series open the door to plenty of extra learning activities at home, and would make a fantastic tool for unit studies involving women scientists, women in space, or women in medicine. We are looking forward to the next two installments of this series (set to be released later on this year). We all want the best for our children. It's never to early to instill a love for learning. We homeschool, so the day is always full of plenty of learning opportunities for my son. Since he's in preschool, I make sure that he also knows that learning can be fun. 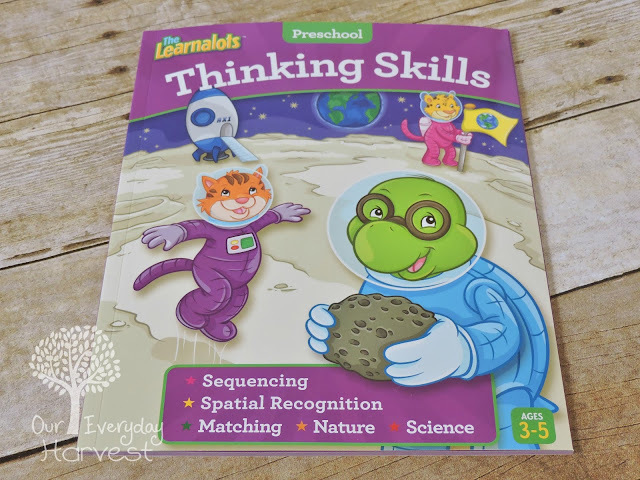 The Learnalots workbooks make that easy. When I opened our pretty purple package from Parragon, I was ecstatic to see this new addition to our Learnalots collection. We currently own a few of the books for preschool and kindergarten levels, and they're wonderful for both extracurricular activities and as educational refreshers. We can even find a few pages here and there that supplement lessons we're going over. 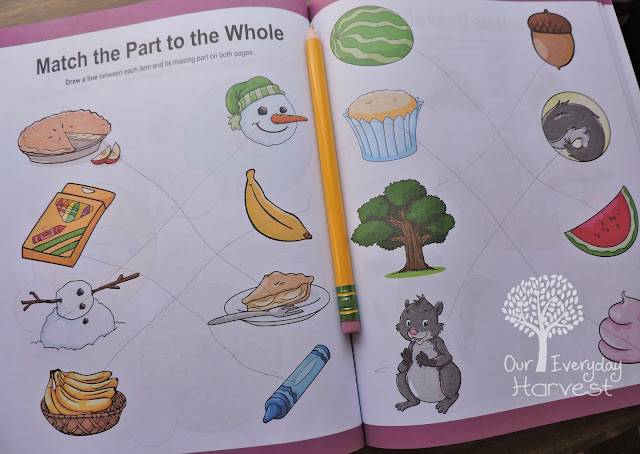 The book also contains two full pages of color stickers with fun encouraging says like "Well Done" and "Bravo." My son enjoys doing the critical thinking activities throughout the book, and doesn't usually expect a reward, but his face does light up when he gets one of those stickers. 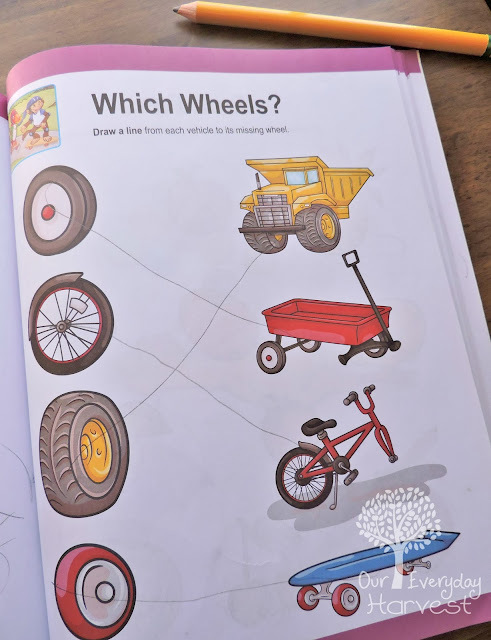 This particular workbook has several focuses, including sequencing, spatial recognition, matching, nature, and science. Kids can have fun completing all kinds of activities, all while gaining important age-appropriate skills. Power bowls are the latest big thing in the foodie world—we now see smoothie bowls, breakfast bowls, macro bowls, poke bowls, quinoa bowls, and flex bowls on upmarket menus and health blogs alike. So what is the appeal? A substantial part is linked to macrobiotics, the idea that fresh, unprocessed local produce is always the tastiest and healthiest, and that a varied combination of food groups will give you the perfect balance of nutrients. The 50 bowls in Bountiful Bowls focus on breakfast bowls, savory snacks and lunch bowls, salad bowls, main meals in a bowl, and dessert bowls, each one with a clear emphasis on fruit, vegetables, beans, or alternative sources of protein. While we're on the discussion of encouragement and setting our hearts on something, let's talk about healthy lifestyles. It's not too late to start a New Year's resolution. Some folks use this as an opportunity to start eating healthy, or even continue on the path to clean eating. 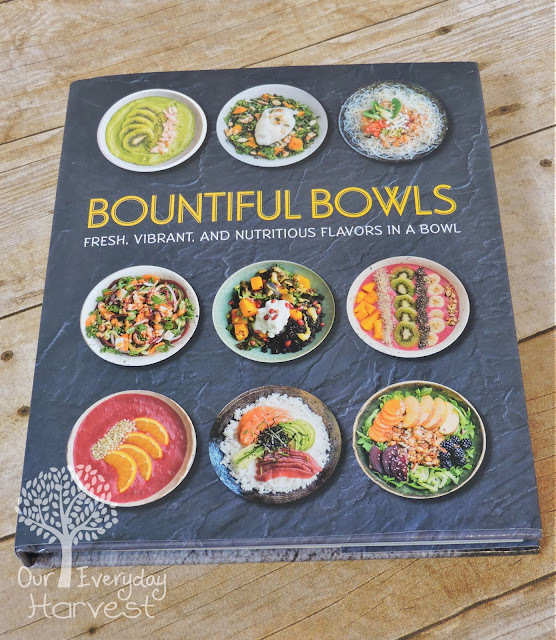 This new Bountiful Bowls cookbook is definitely a fine way to start. I am big on bowl creations, especially those packed with a lot of healthy grains and veggies. Needless to say, I jumped for joy when I saw this special surprise in this month's book selection. 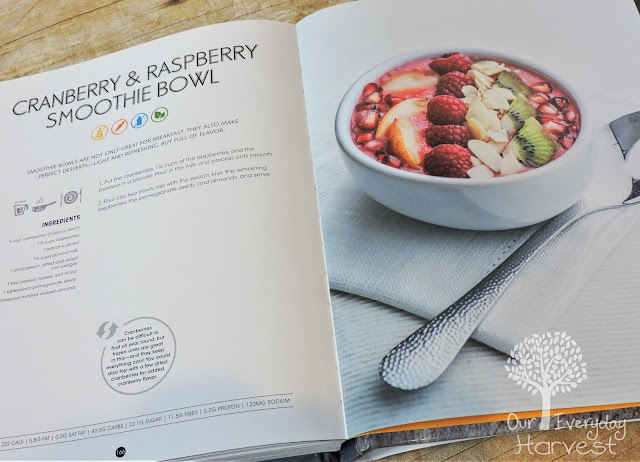 This hardcover cookbook has approximately fifty super food recipes. 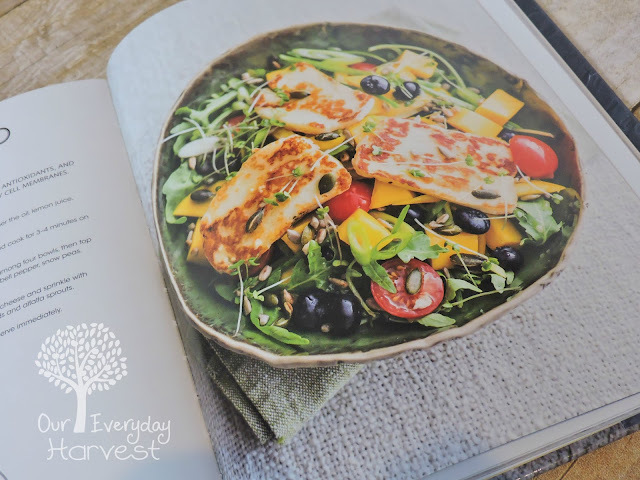 Not only are the fabulous recipes packed with delicious goodness, but each one is accompanied by gorgeous photography, showing vibrant colors and details. 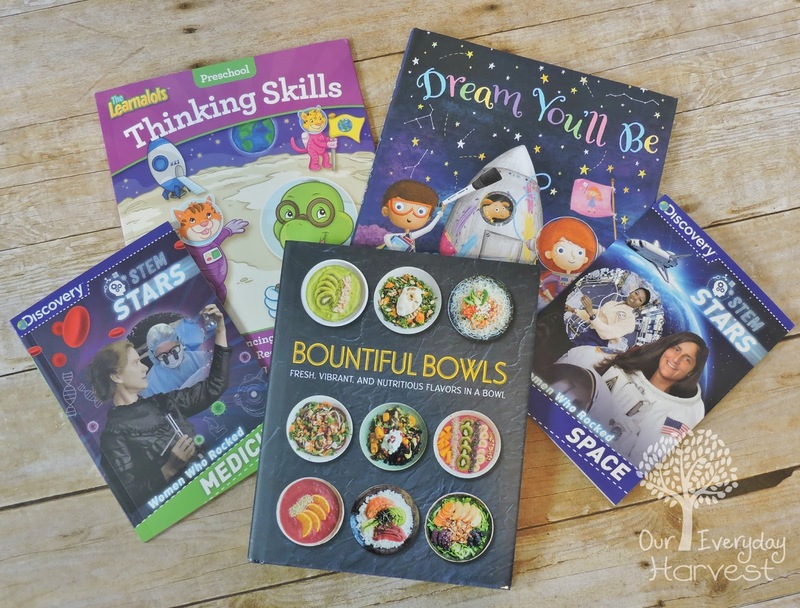 The greens (veggies), the reds/purples (fruit), and even the tans/browns (grains)–it's hard to keep those taste buds from watering while flipping through the pages. When the warmer weather comes rolling in, I love to take advantage of all the agriculture New York State has to offer, including the local farmer's markets when the best produce is in season. Needless to say, I will be putting plenty of these healthy recipes to the test. Another thing that I like is the overall arrangement of the book. The recipes are grouped into categories, including breakfast, light lunches, salads, main dishes, and desserts. Each recipe contains a key with color-coded icons (gluten-free, vegetarian, dairy-free, raw, and vegan) to help readers who may have special diet restrictions. There is also an index that is grouped by ingredients, a well as a brief introduction to what bowls are and they're history in different cultures. For more helpful and encouraging reads, be sure to visit Parragon to see their complete selection of both recipe and children's books.